Here we are again and another long period of time has gone by. I apologize for not posting anything in almost 2 months….I have been very busy and sometimes even lacked inspiration. I hope I can be more active from now on as I have many many recipes to share with you! 1. Heat the whipping cream in a double boiler or in a bowl on top of a pot with boiling water. 2. Add the mint thins and stir until they have melted completely. 3. Allow the filling to cool for about 15-20 minutes and then store it in the refridgerator until the next day. 4. When you’re ready to fill the cupcakes, beat the mint chocolate cream until it is thick and forms peaks. 1. Melt chocolate in a double boiler or in a bowl on top of a pot with boiling water. 2. Let the chocolate cool slightly for a few minutes. 3. Beat cream cheese until soft. 4. Add the chocolate and some green food color until the frosting has a nice minty green color. 2. Grease a jumbo muffin pan or line with jumbo paper muffin cups. 7. Pour mixture into the muffin pan, filling each cup about ¾ full. 8. 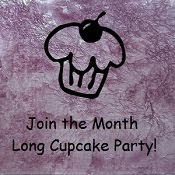 Bake for 25-30 minutes or until a toothpick inserted into the center of a cupcake comes out clean. 9. Allow cupcakes to cool slightly (5-10 minutes) before filling and frosting them. 11.Fill the center with the chocolate mint cream and put the “lid” back. 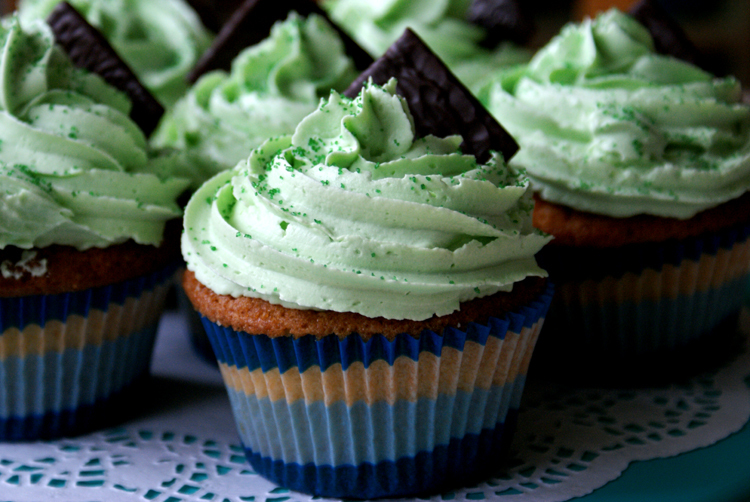 12.Frost the cupcakes with the minty green frosting and decorate each cupcake with green sugar or sprinkles and half a mint thin.